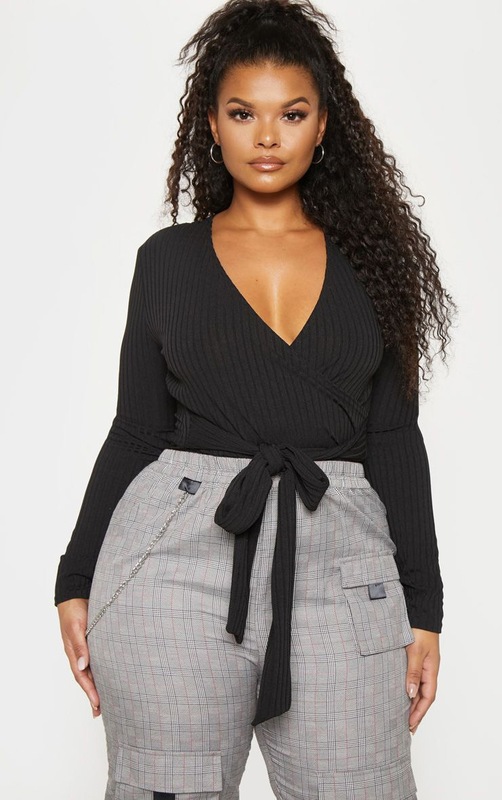 Switch up your basics this season with this bodysuit. 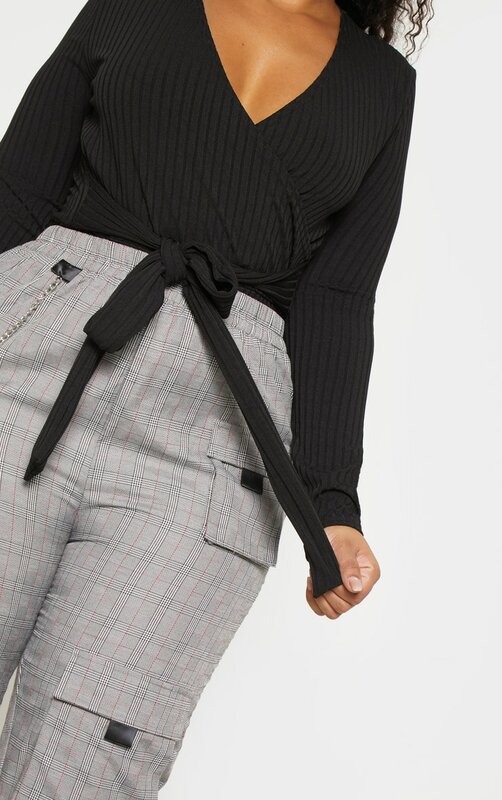 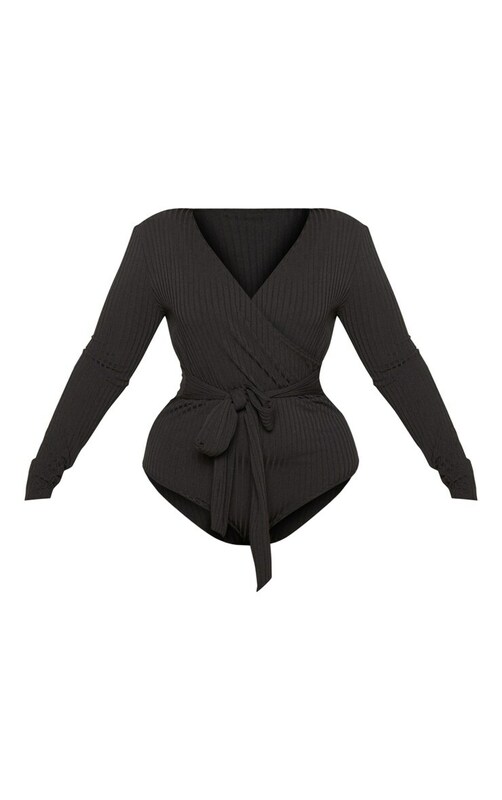 Featuring a black ribbed fabric with a tie waist detail and wrap front design. 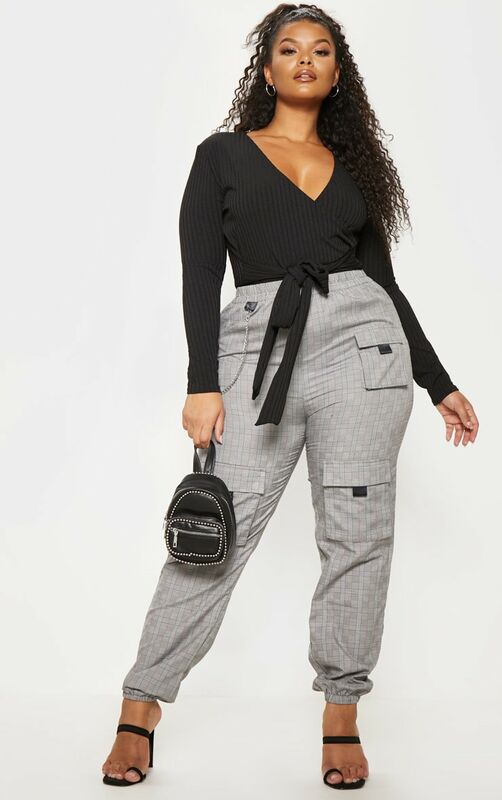 Finish off the look with cargo trousers and black strappy heels for a weekend-worthy style.